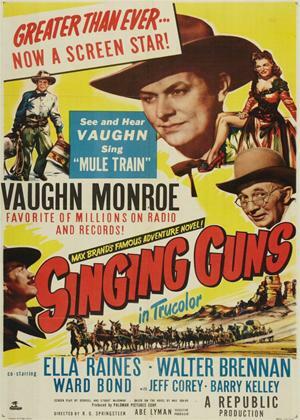 Vaughn Monroe, Ella Raines, Walter Brennan et al. A notorious robber, Rhiannon is fond of stealing from the wealthy and has a stash of gold hidden in the mountains. Eventually, Rhiannon makes an attempt at going straight, befriending Sheriff Jim Caradac and Dr. Jonathan Mark and falling for the lovely Nan Morgan who works at the local saloon. Can Rhiannon, who is fond of singing a tune now and then, turn over a new leaf and give up his illegal activities?